Sixty three children with CP aged between one and six years old, were enrolled in the phase two study which sought to test whether a child’s own umbilical cord blood, stored from birth, could improve function1. Trial results, published this week in Stem Cells Translational Medicine, details how children were infused with their own (autologous) umbilical cord blood or placebo1. The order of infusion received, autologous cord blood or placebo, was randomised and given one year apart. "Results of this trial suggest that when adequately dosed, an intravenous infusion of autologous umbilical cord blood improves whole brain connectivity and motor function in young children with cerebral palsy1." Cord blood is the blood that remains in a baby’s umbilical cord and placenta immediately after the baby is born and the umbilical cord has been clamped and cut. Cord blood contains a diverse mixture of important cells, including stem cells and can only be collected at birth. Cerebral palsy refers to a group of developmental conditions which are all caused by some kind of injury to the brain. The injury can occur in the womb, during the birth, or in a child’s first years after birth usually from an infection or trauma to the brain3. 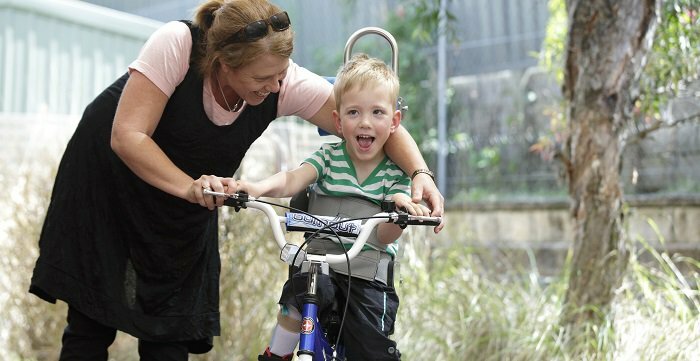 One Australian child is born with CP every 15 hours. It is the most common physical disability in children and affects 17 million people worldwide2, illustrating the importance of ongoing cerebral palsy research. In addition to a number of potential causes of CP, there is variety of motor controls that may be impaired and are unique to every child diagnosed with CP. This uniqueness is highlighted in the diverse gains in motor function and whole brain connectivity demonstrated by the children in the Duke study. Sun has expressed how encouraged she is to continue researching the potential for cord blood and cell therapy to treat CP and brain injury, a sentiment echoed by senior author and director of Duke University’s Pediatric Blood and Marrow Transplant Program, Joanne Kurtzberg, M.D. “Now that we have identified a dosing threshold, we are planning additional studies testing the benefits of multiple doses of cells, as well as the use of donor cells for patients whose own cord blood was not banked,” Kurtzberg said. The exciting results from the study support further research into the use of cord blood to potentially treat children with CP and other neurological disorders. Worldwide, cord blood has been used in over 40,0004 transplants for over 80 life-threatening conditions5. Stem cells from umbilical cord blood and cord tissue are amongst the most flexible and potent in the body. As these powerful stem cells can only be collected at birth for potential future use, expectant parents interested in learning more are encouraged to do so well before their due date.